Join the Fundraising Coach Affiliate Program! Thank you for your interest in the FundraisingCoach.com Affiliate Program! 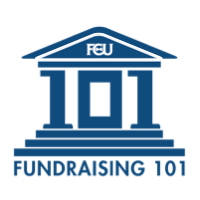 We want to make it ridiculously easy to find fundraising tools. You can help - and be paid for it! We figure we wouldn't make the sales without your help, so we're offering affiliates 40% of the sale price on anything in the store. This includes books, ebooks, digital audio, Fundraising Kick email subscriptions, monthly subscriptions to The Nonprofit Academy...even the $399 Highlands Ability Battery. You get 40% of every sale, even of the recurring subscriptions to Fundraising Kick and The Nonprofit Academy. One referral, income month after month. How sweet is that? And if you refer people to FundraisingCoach.com who become affiliates themselves, you'll receive 5% from their sales too! You get to help others while helping yourself or your nonprofit. What could be better? Already a Fundraising Coach Affiliate? If you're already an affiliate, you can log in to your account by going to https://qc125.infusionsoft.com/Affiliate/.